Why the Epson Printer in giving the warning about Page stuck or Low Ink. This is a common problem in Epson L210, Epson L220, Epson L120, Epson L380 and more. This problem can be solved by Epson Resetter tool which can reset all the problem of your printers. Epson printers are more popularly this day by their All In One printer. All in One Printer includes Scanner, Xerox function as well as Both printer including Blank and White or Colour Printer. But Epson printers are getting the victim of many problems just like Showing Page Stuck even if the page is not stuck in the printer. Another error is about Ink Reset, it happens when your printer is used for a long time after ink level is low below the recommended value. So this makes your printer to give the warning about Ink. Even after filling ink in the bottle of the printer, the printer gives the warning of low ink level. All the problem discussed above are the common problems occurs in Epson L210, Epson L220, Epson 120, Epson 380 and much more printers of Epson. But this problem can be easily solved by a resetter tool named as Epson Resetter Tool. Epson Resetter Tool is the simple tool developed by the Epson’s Developer to help the people who suffer from many printer errors. Mostly this tool only provided to Epson Service Center by Epson. But nowadays these tools are also available on the internet. 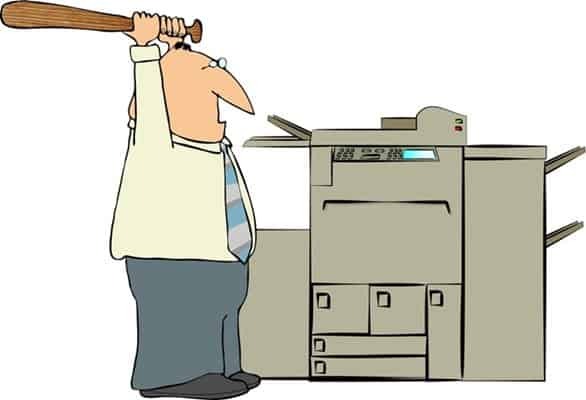 I have also uploaded this tool and so I can help others to save their time wasting to reset printer errors. This resetter tool works on simple principles. It just reset all the counter of Epson Printer Chip so the printer got only initial value. This mean that your printer is never used, no copies have been made in the printer. Resetting the counter tells the printer that there was no page stuck in you or their ink bottles are always full in you. Your ink is never low. Many fake tools are available on the Internet, So don’t trust any tool they can also harm your PC. Hackers also use this type software to hack your PC, so be aware of them. Here I am providing the Genuine Tool. 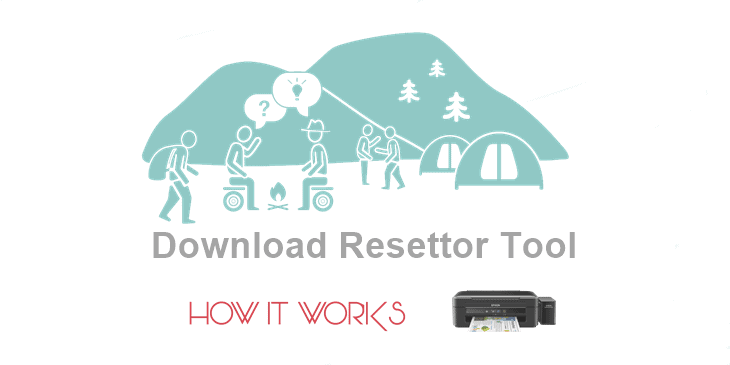 You can download the Epson Resetter Tool from here. This tool is scanned by Antivirus and it does not contain any virus. So feel good and download this. 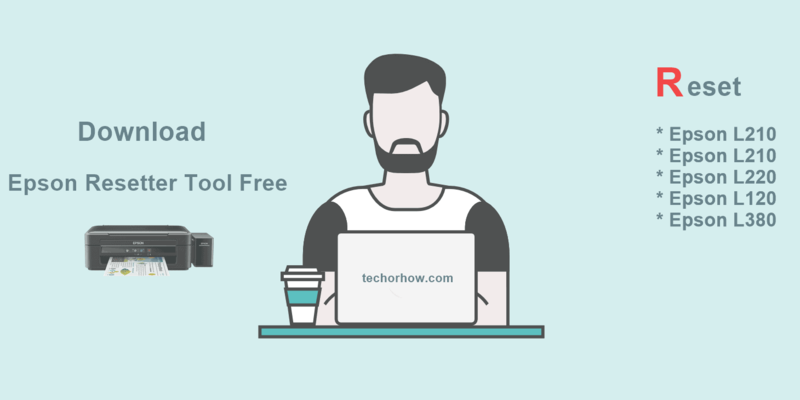 After Download the Resetter Tool, simply install the too in you PC. Here are below steps to install Epson Resetter Tool in your PC. Step 1. Double Click on the Downloaded File. Step 2. A Popup will open asking your for Adminstartive Privilage, Click on allow and continue. Step 3. Now Click Agree on the terms and click on Next. 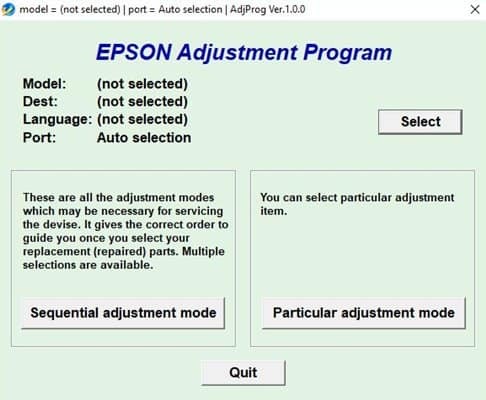 Step 4 : Choose the location where you want to install Epson Resetter Tool. If you don/t know where to install leave it as defalut (C:\Program Files (x86)\Epson Resetter Tool) and click on next. Step : Now Resetter is started installing in your Computer. Oncce installing is completed you can open it. This error can be easily fixed in just a couple of minutes. This method works like a charm for your printers. First of all know how this problems occurs in your Epson printer which may be Epson L210, Epson L220 or Epson L380 or much more. This method work for all the Epson Printers. Let us this yo are using your printer and your ink levels are low, then your printer gives you warning on the computer that your ink is low as well as it also gives warning by Red Light on Printer. When you use the printer even after the ink is over in bottles or ink leve is low. Your printer will be suddenely stopped. Even after filling ink in the bottle the printer gives you a warning. 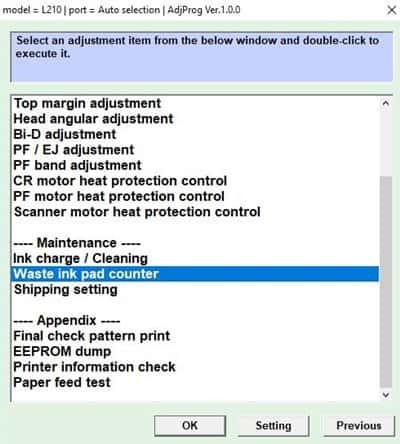 So to clear the warniong of printer you have to Download Epson Resetter Tool and restet the counter in setting of Resetter Tool. Step 1: Download Epson Resetter Tool from here. Step 3: Now open the resetter tool by by double clicking on the file name. Step 5 : Select your printers model name as shown in fig. Here i am resetting my Epson L210 so Iwill pick up it. 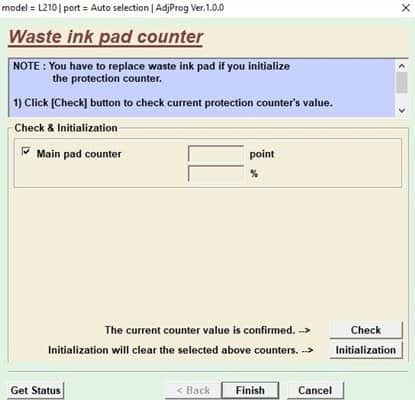 Step 6 : Click on the problem which is Waste Ink Pad Counter. Step 7: Now check the box to enable Main Pad Counter, By enabling this option the Epson Resetter Tool wil reset the counter of Epson L210. Step 8 : Click on Check button as shown in fig after press the Initilization button to start the progress. Now a popup window ill open, Click on “Ok” when done. Step 8: Now restart the printer just by Turning off Switch of Printer or By Pressing the Power Off Switch on Printer. Finally, you have successfull reseted the counter and clear ink problem. 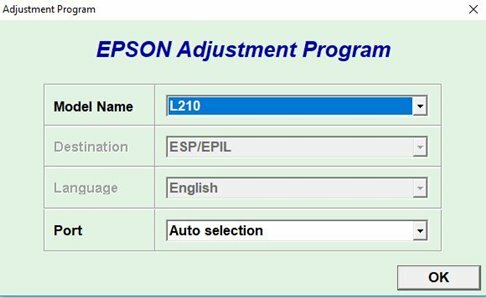 Download Epson Resetter Tool and do the following steps as discussed above to cleae the errors in Epson L210, L220, L120, L380 nad much more. This tool save your lots of money which you spend in Service Center. If you really like the article please share it and cooment below about your success stories.